Outfit him in a nice pair of pants with easy wear and easy care. 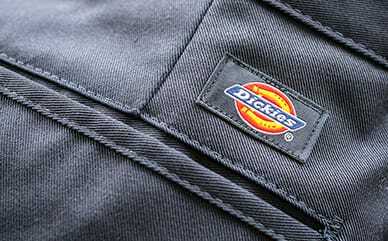 Dickies’ Classic Fit Straight Leg Flat Front Pants sit slightly below the waist, featuring a FlexWaist® adjustable waistband that lets kids fine tune the fit for their comfort—perfect for growing boys. The easy care comes in with stain release, fade and wrinkle resistance that keeps them pressed and fresh.